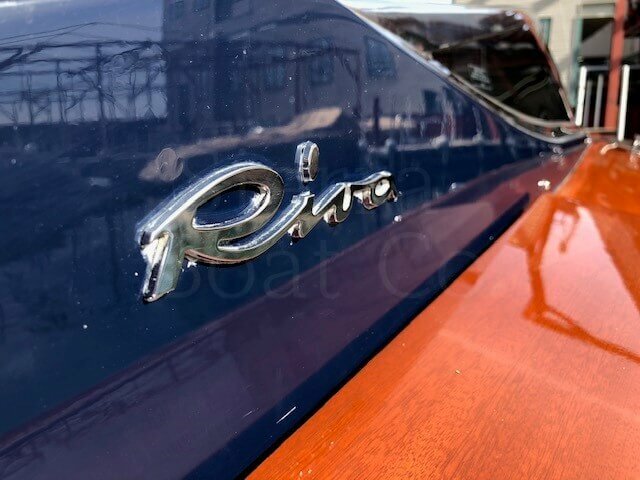 In the 1950’s, under the leadership of Carlo Riva, the company known as Riva Yachts began to cultivate a very prestigious reputation. 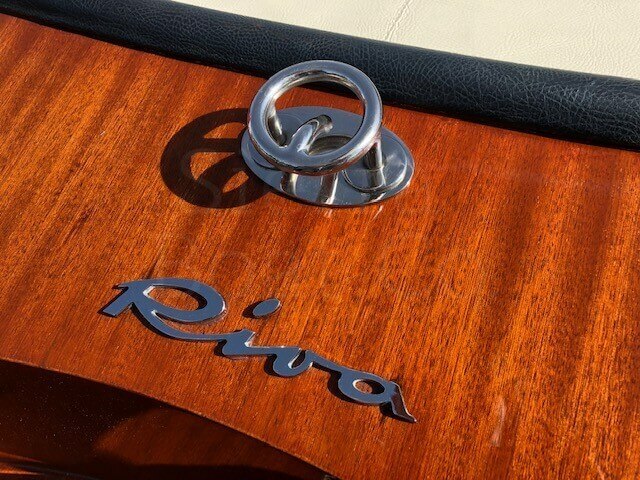 Because of their dedication to excellence, Riva became the epitome of elegance, craftsmanship and style in the boating world. 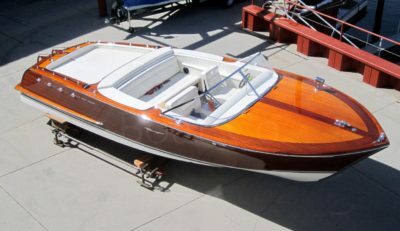 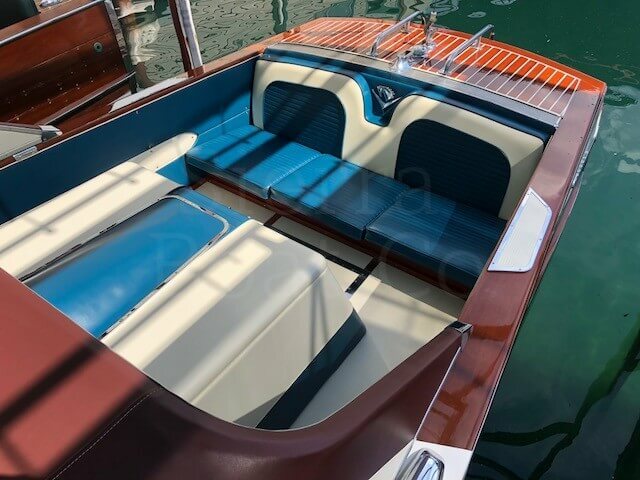 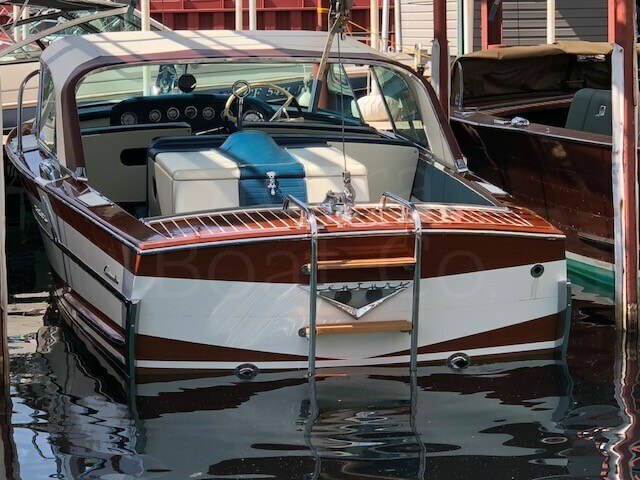 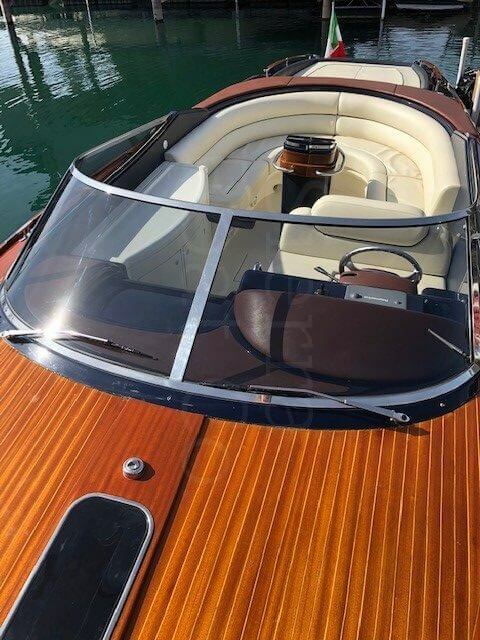 Using only the finest materials assembled by the most skilled and experienced craftsmen, Carlo Riva built boats for kings and queens, sportsmen, and movie stars. 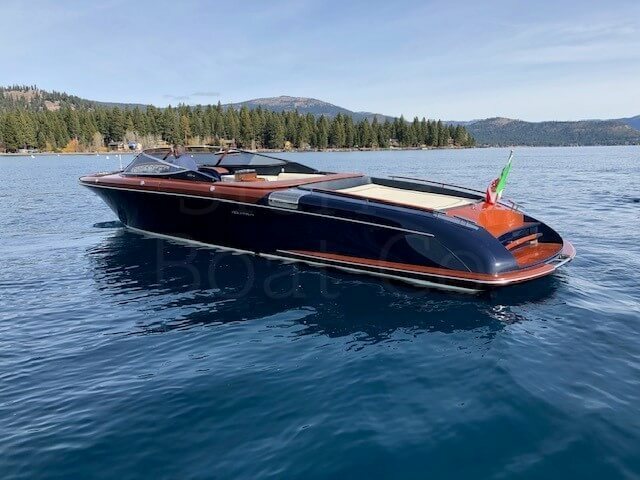 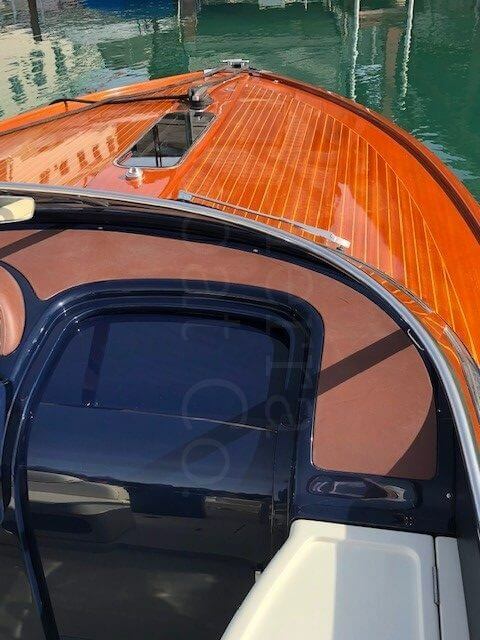 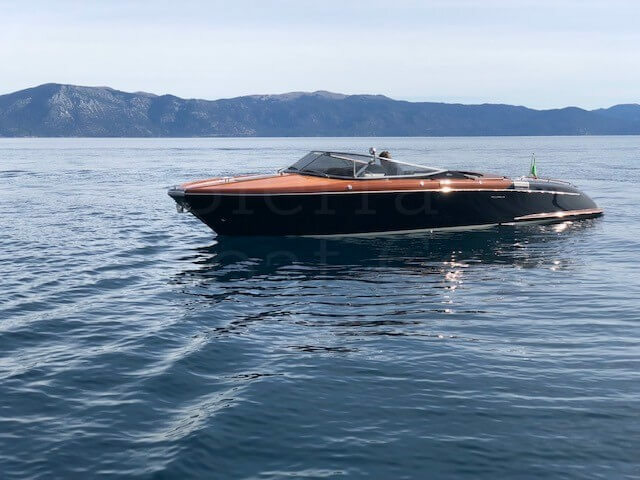 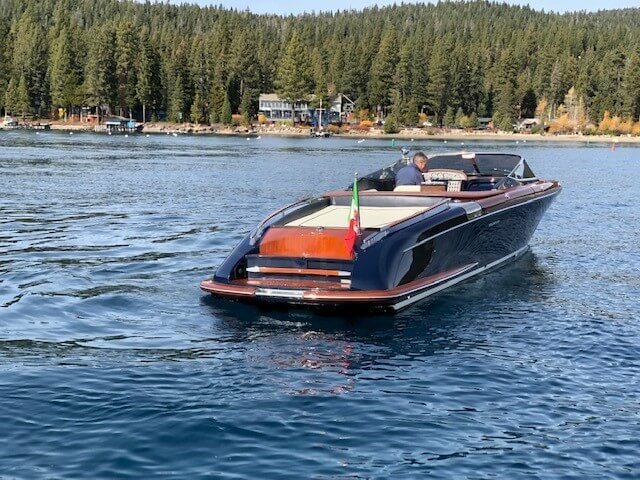 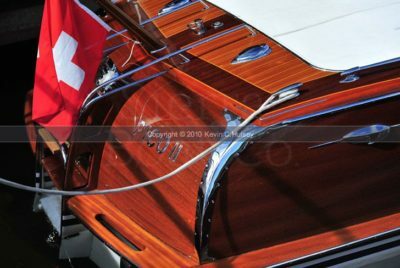 A direct descendant of the most celebrated Riva of all, the mahogany Aquarama, the Aquariva carries on a boatbuilding tradition which began 168 years ago. 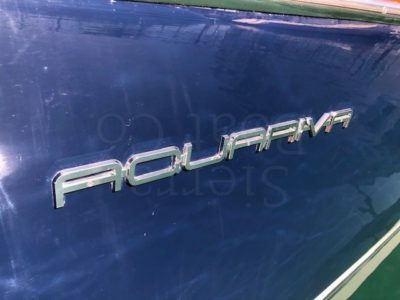 It’s a flawless evolution of style, as the Aquariva retains that gorgeous stem-to-stern undulation of its predecessors. 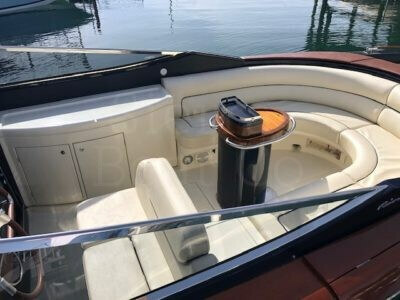 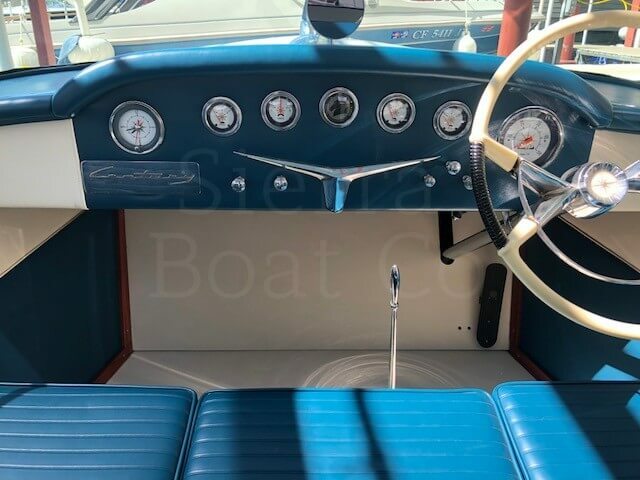 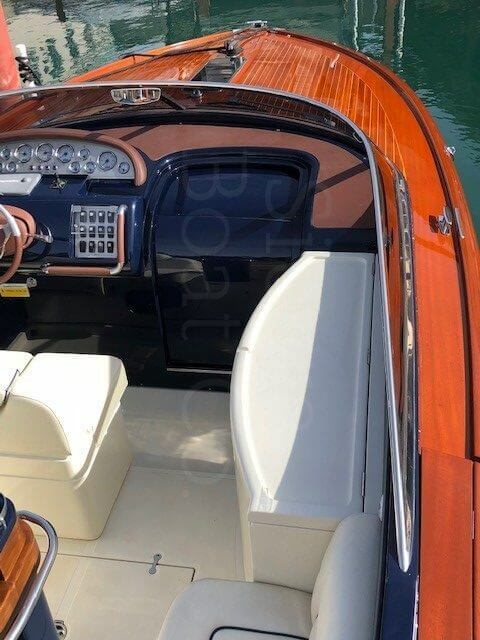 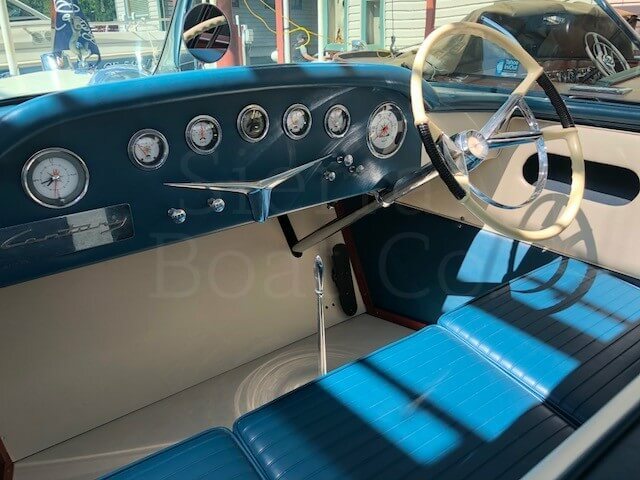 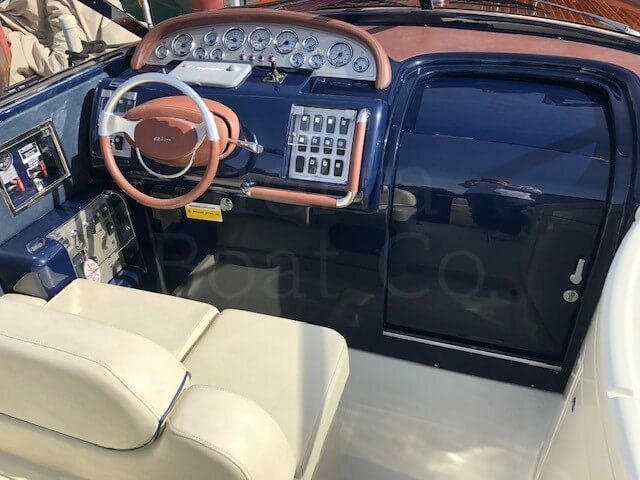 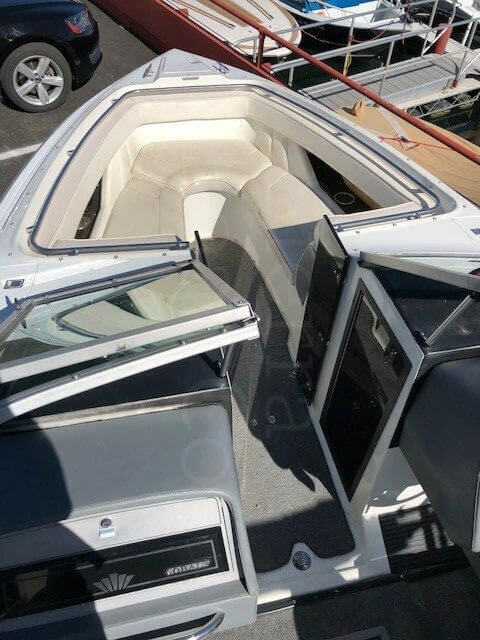 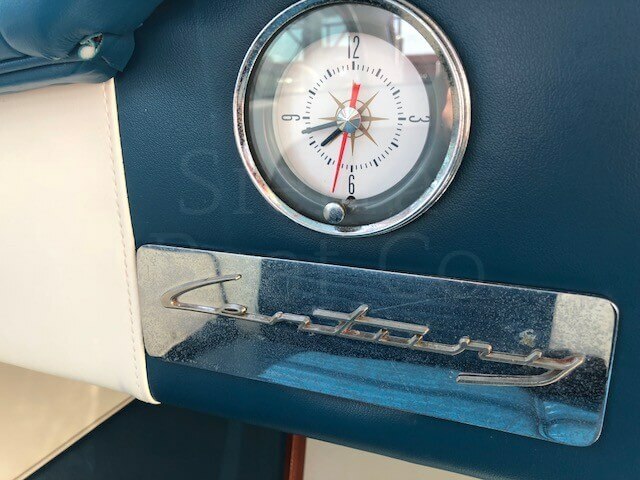 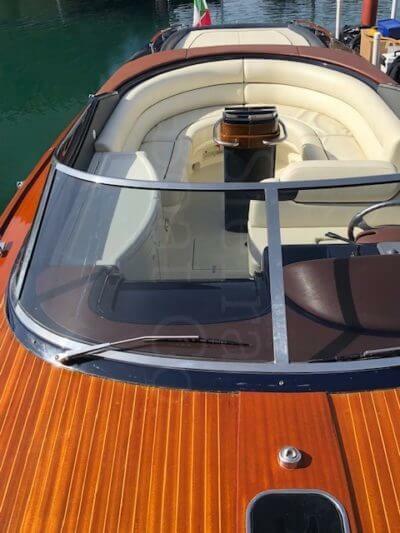 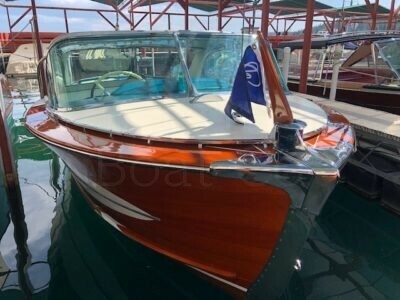 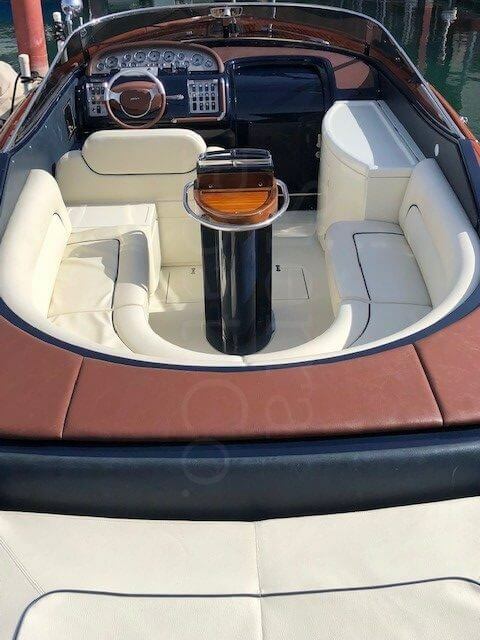 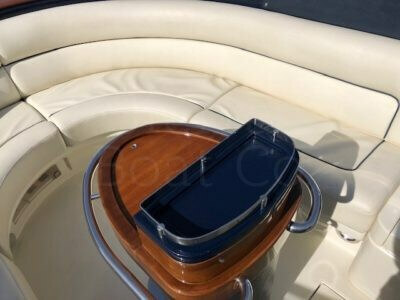 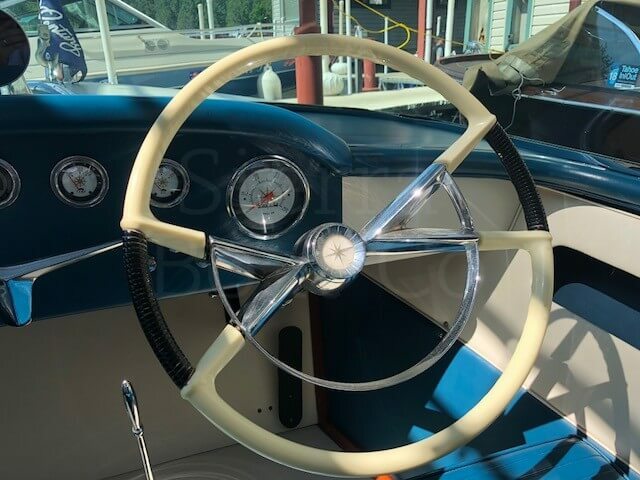 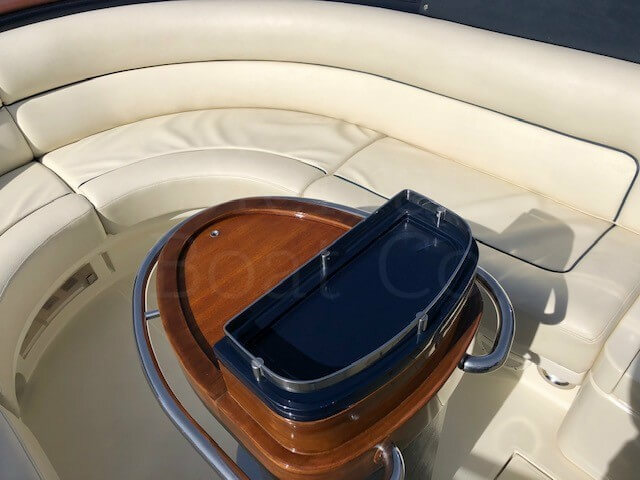 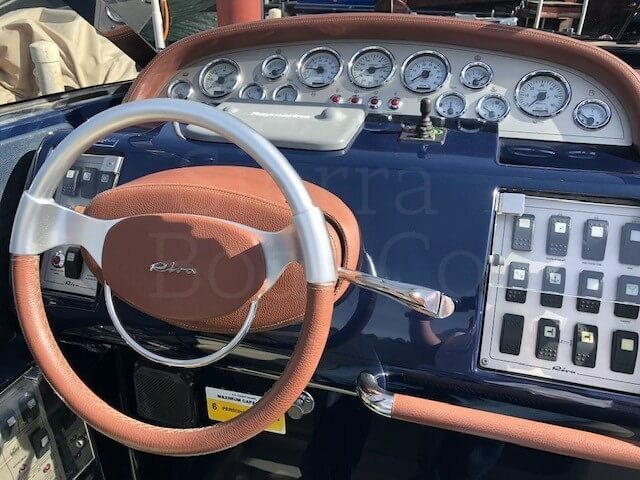 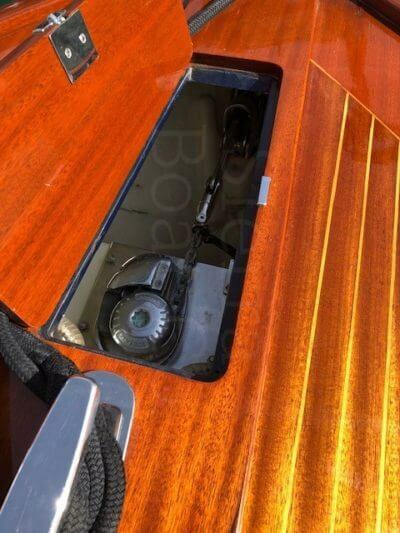 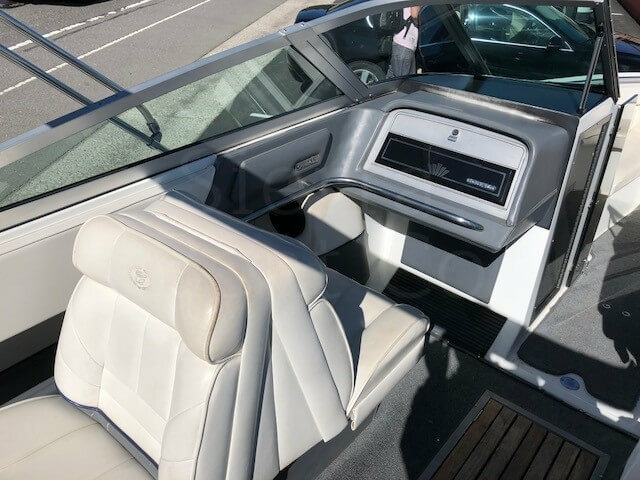 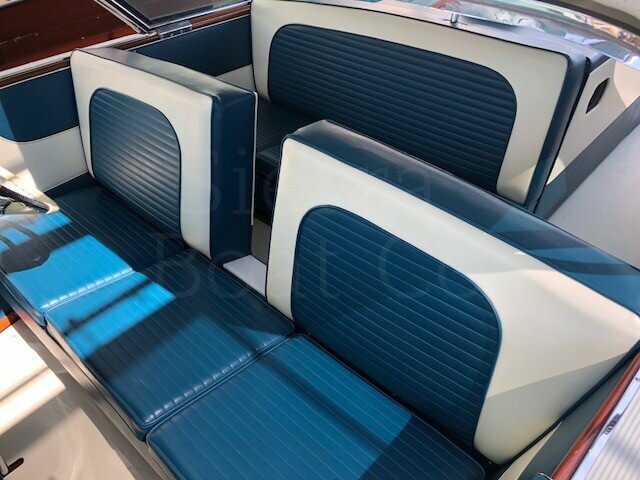 From the stainless-steel bow fairlead with integrated hawse to the mahogany and maple foredeck to the teak toe rails and swept windshield, it is hands down one of the world’s most elegant runabouts. 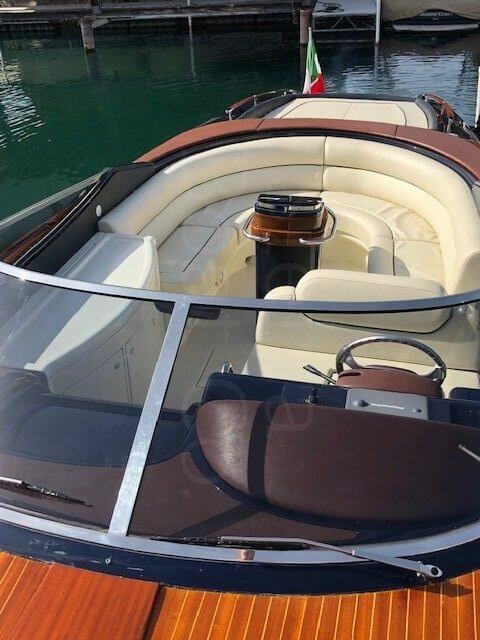 The standard navy-blue hull sets off the dark brightwork and contrasts beautifully with the cockpit’s creamy leather and U-shaped aft bench seating. 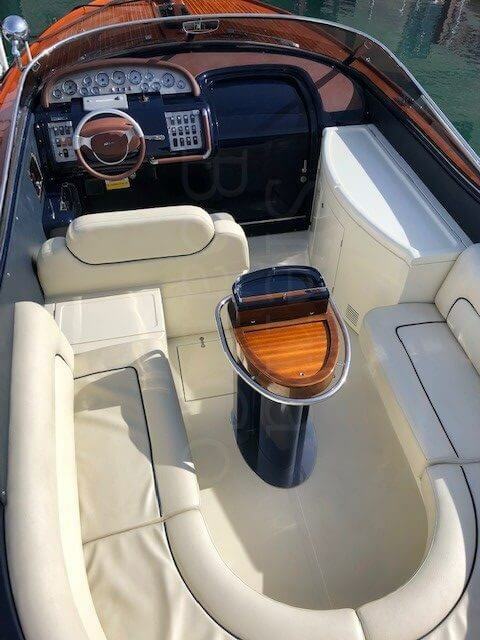 For the captain, a leather helm chair with flip-up bolster provides standing or seated comfort. 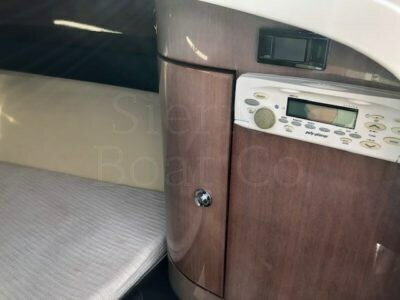 The Riva Aquariva 33 features a large double berth and a discreet toilet below. 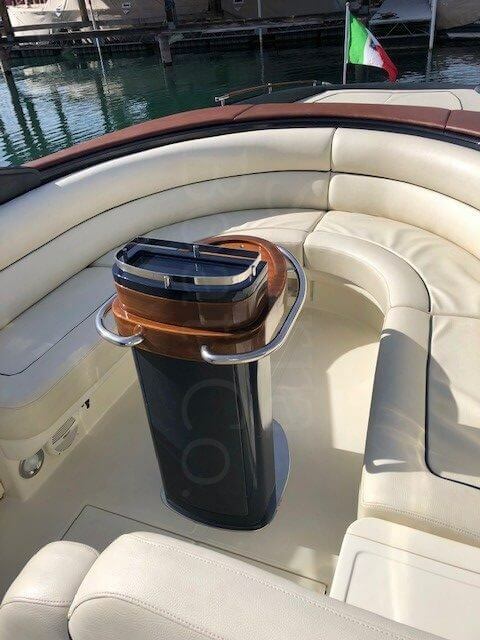 For entertaining, there is a pod-style mahogany table, and a wet bar and refrigerator/ice maker. 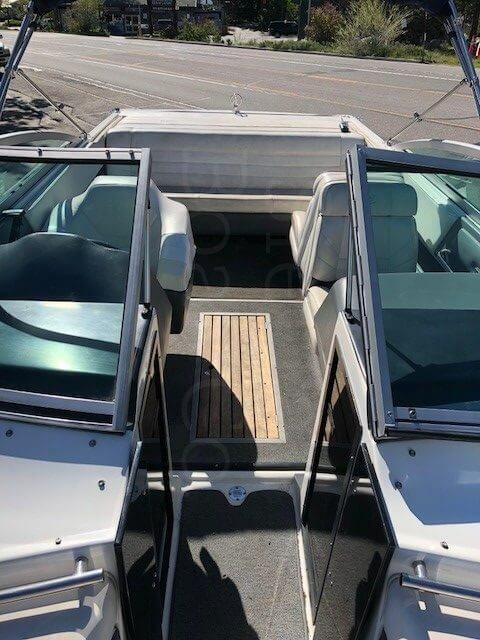 Sun worshipers will appreciate the large transom sun pad, and her swim platform has a ladder for easy water access. 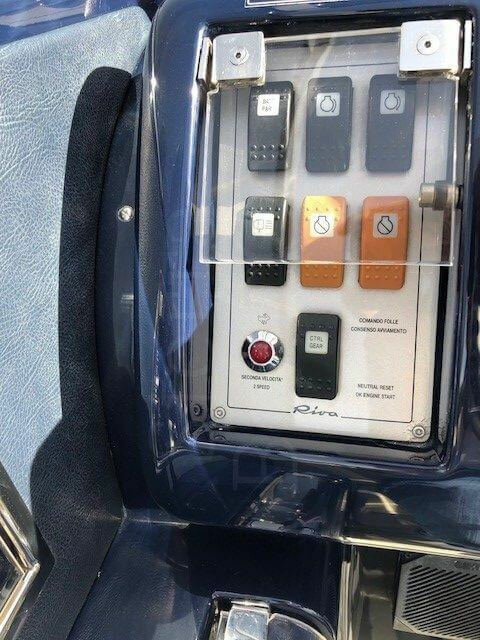 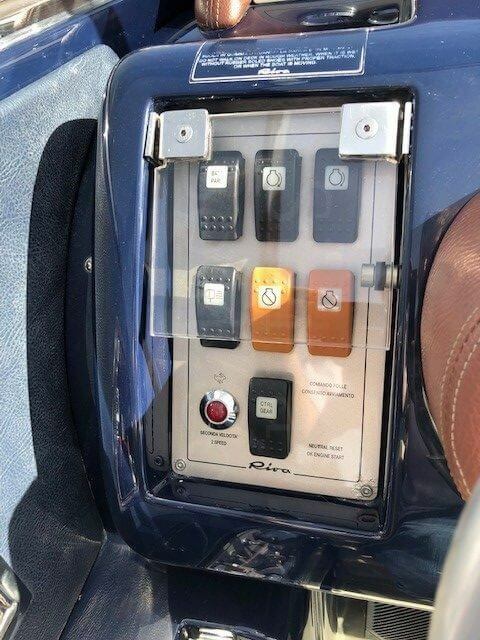 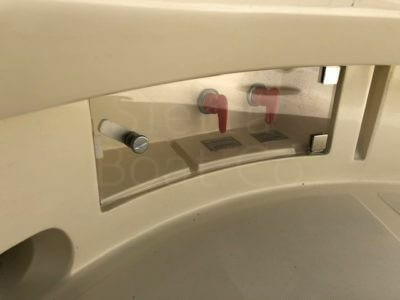 Another feature is the electronically activated canopy, which works like a sports car’s cabriolet top. 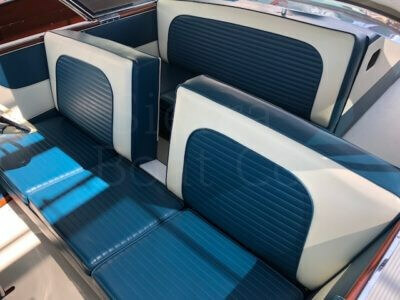 Flip a switch and the clever Bimini top shades the helm area and U-shaped seating area. 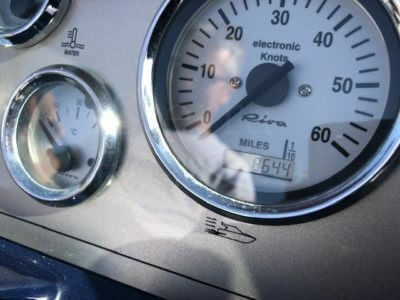 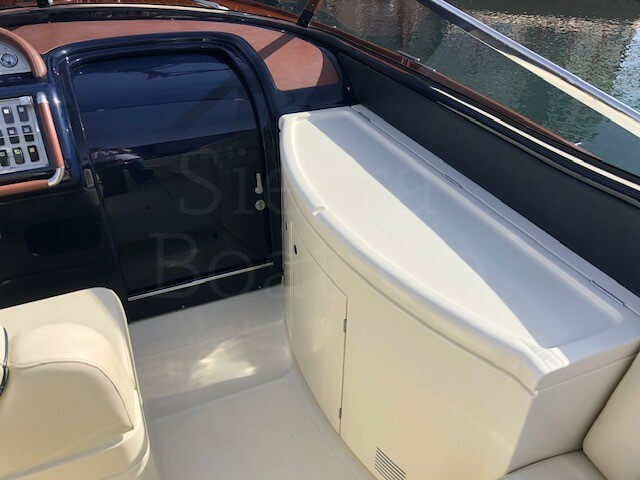 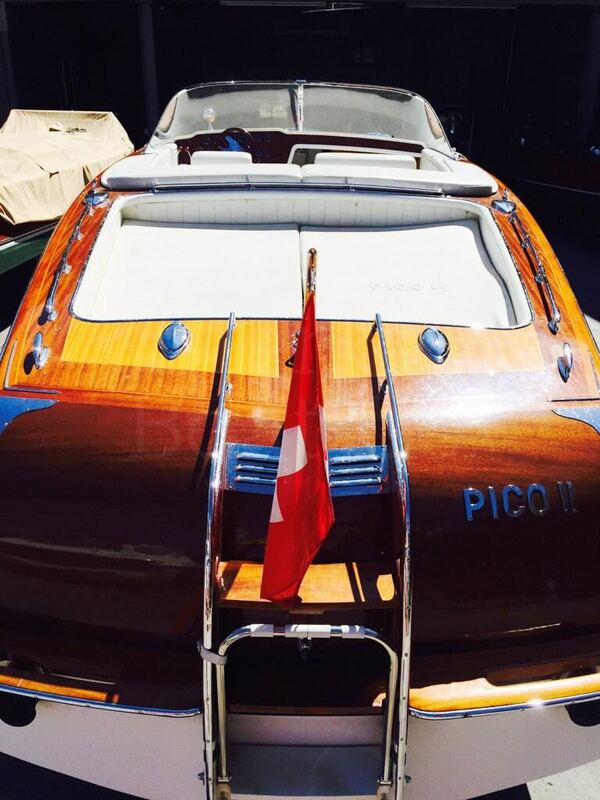 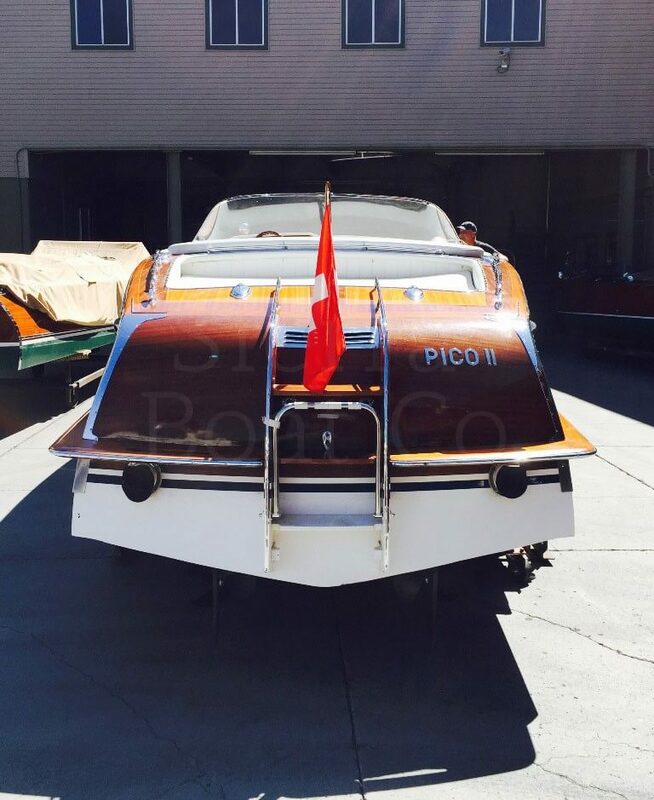 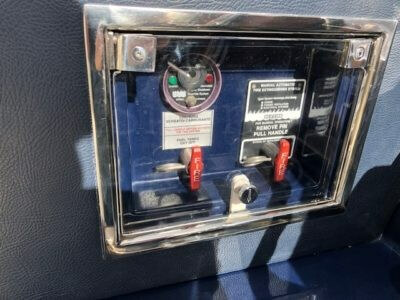 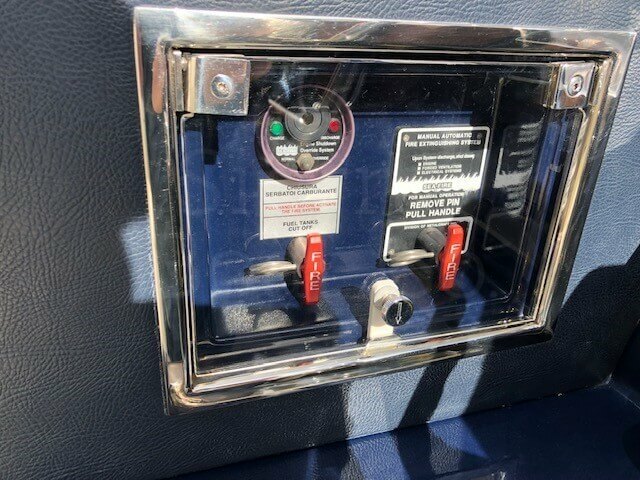 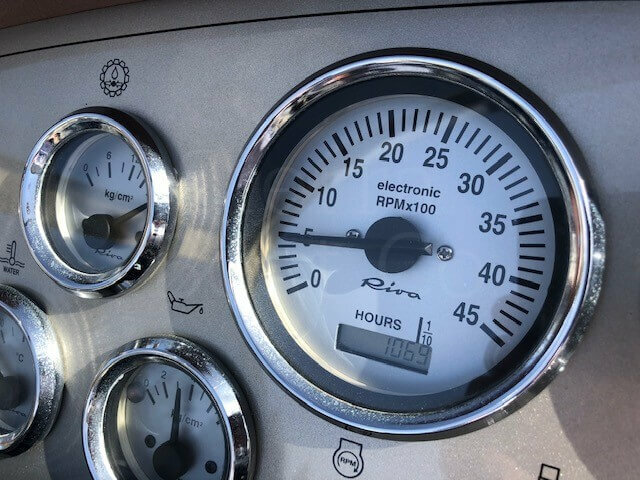 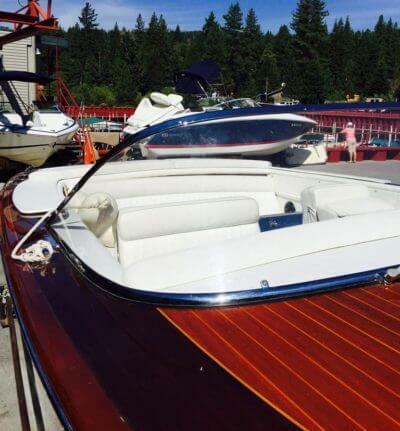 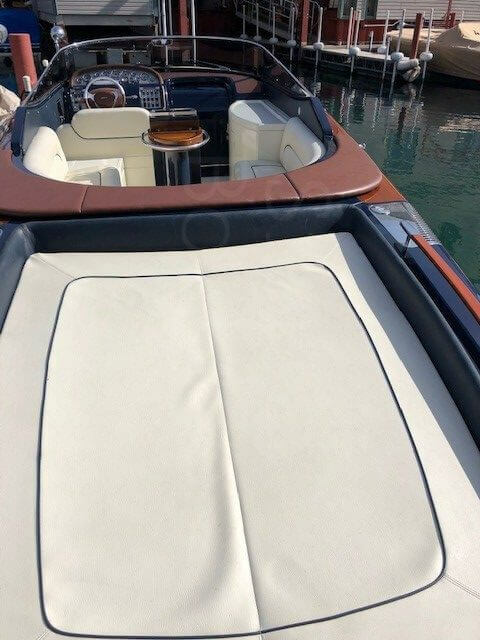 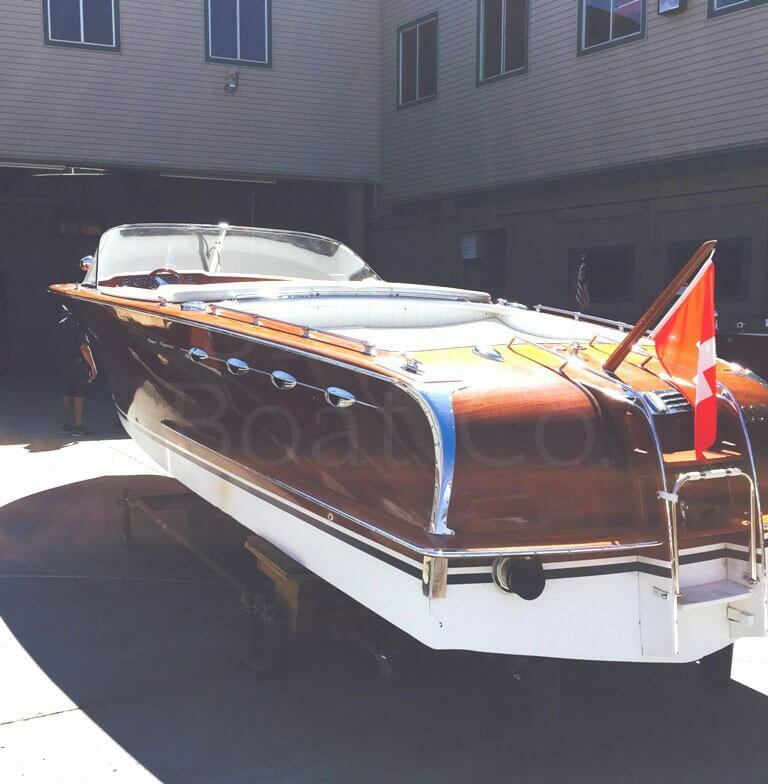 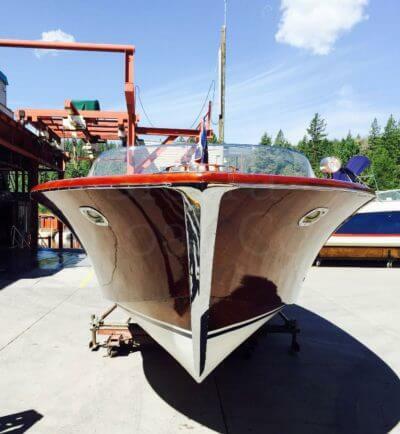 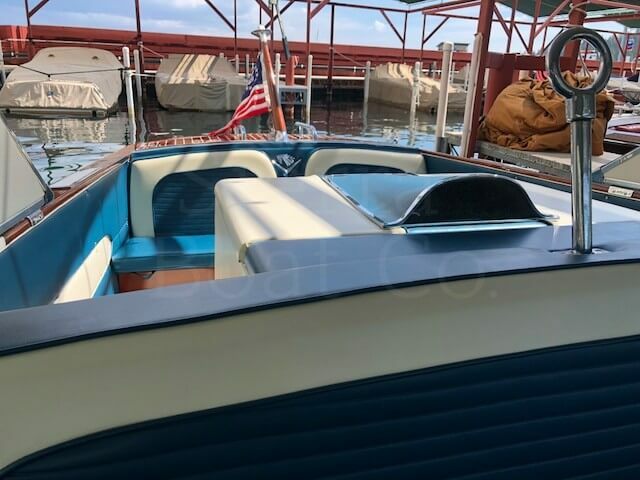 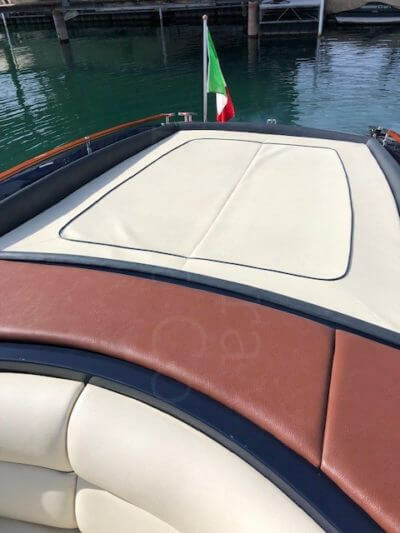 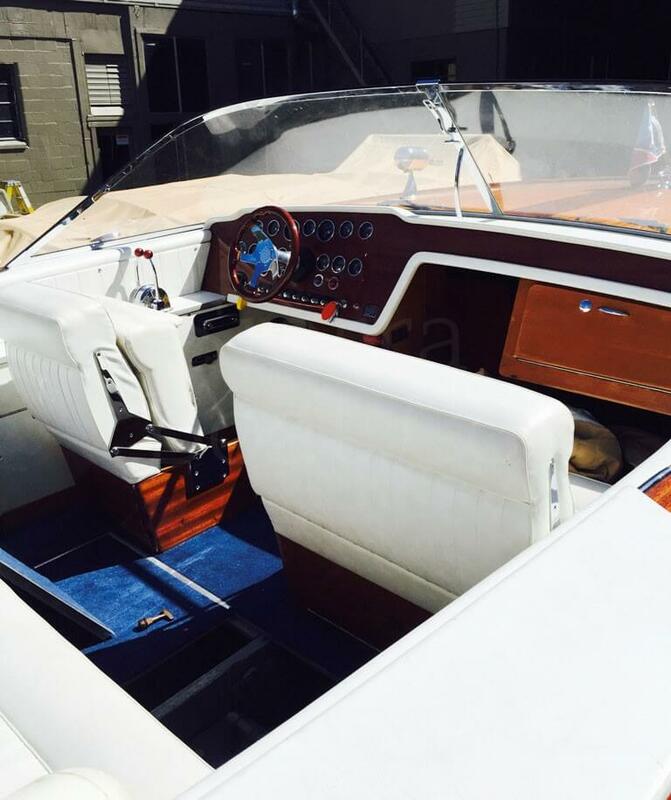 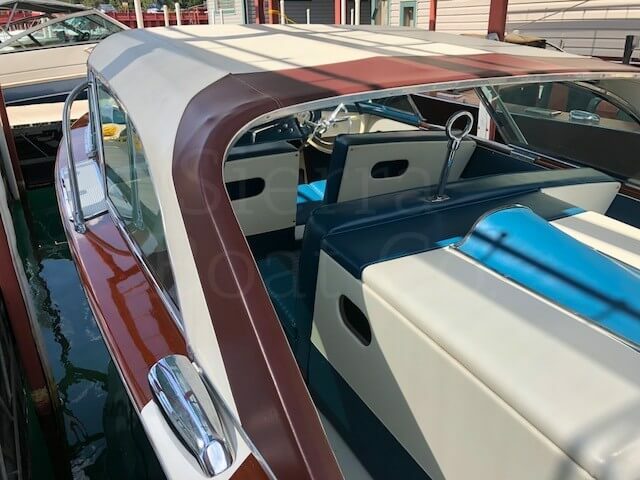 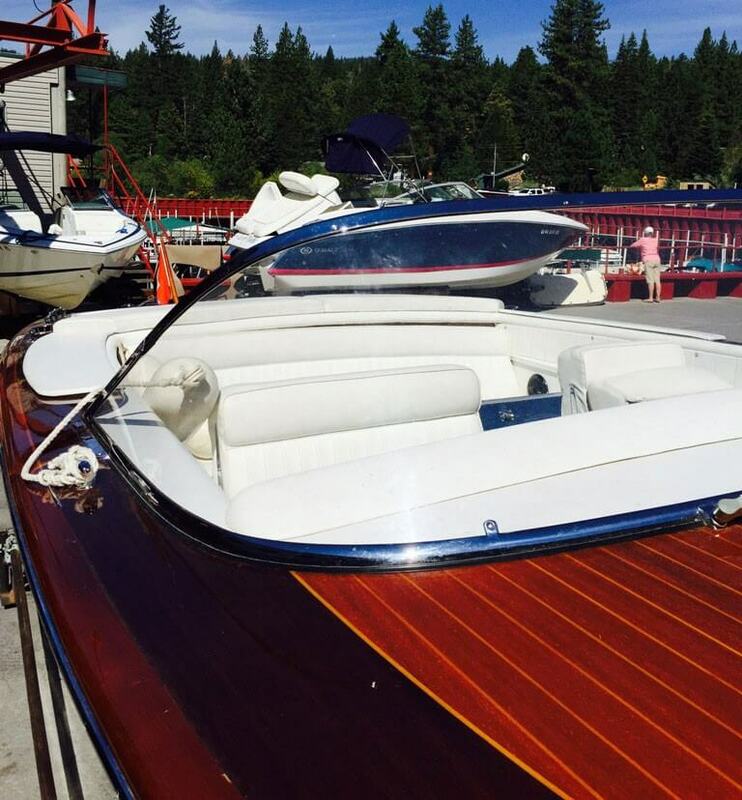 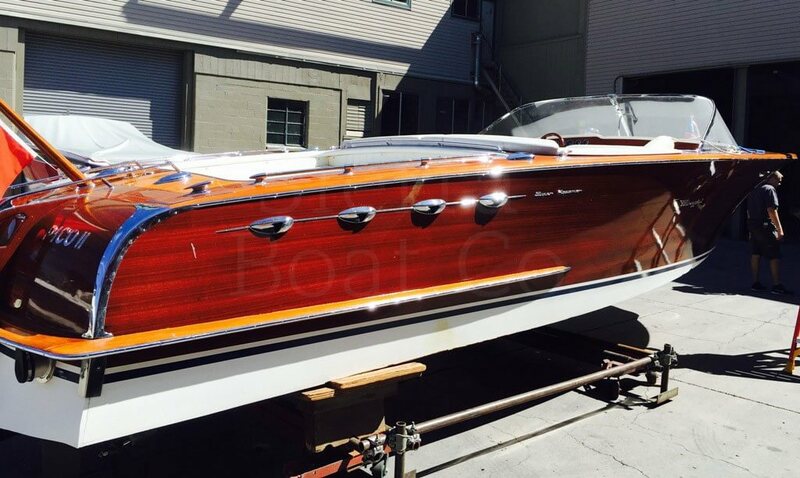 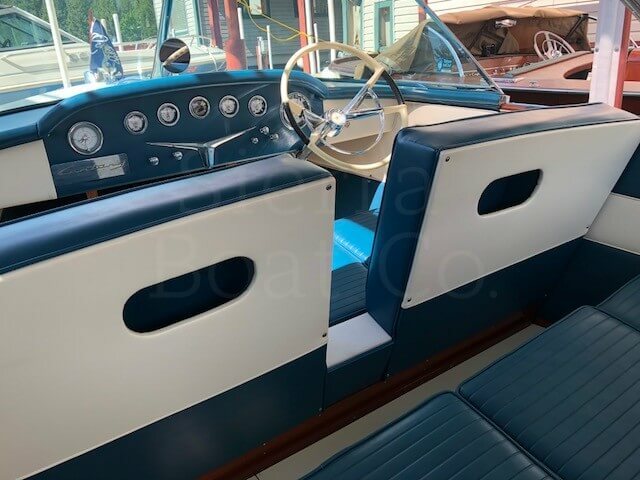 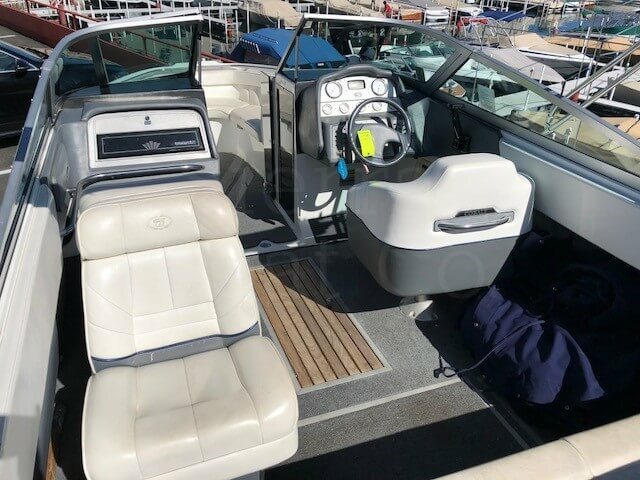 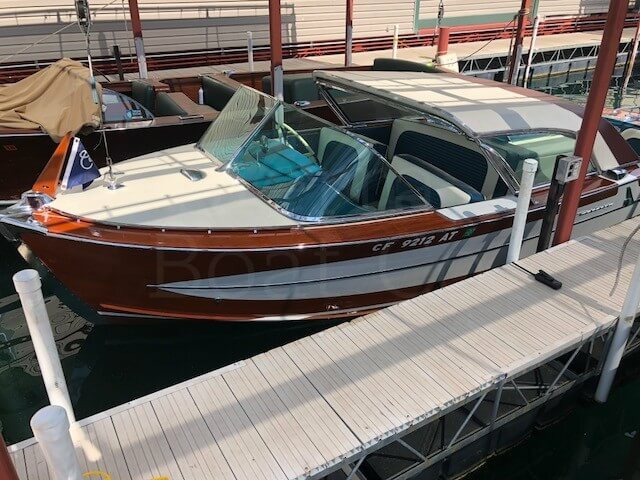 This Riva has been inspected and serviced by Sierra Boat, a certified Riva dealer. 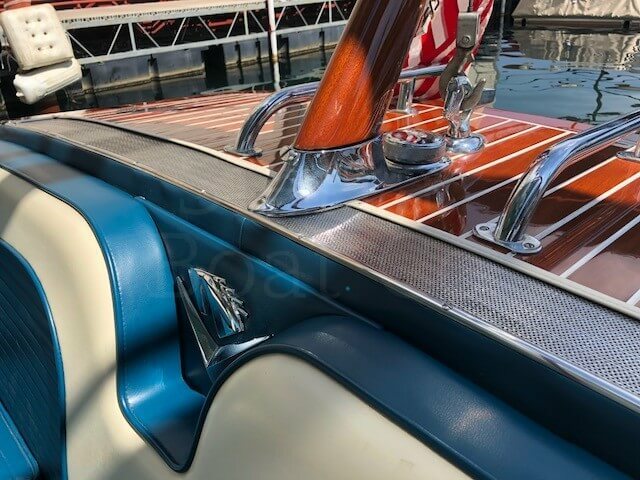 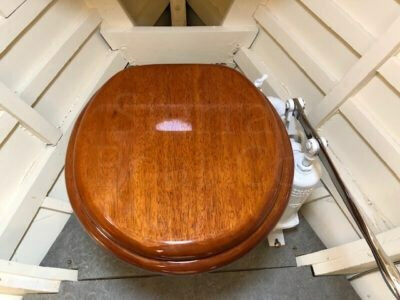 The exterior mahogany wood was refinished in the fall of 2018. 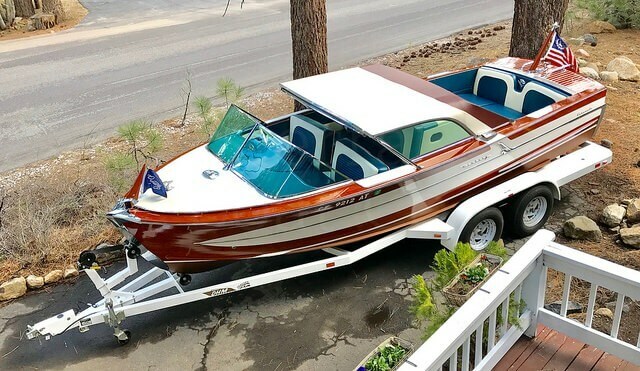 This boat comes on a 2004 Magic Tilt triple axle trailer. This is a great opportunity to own an Aquariva at the fraction of the cost of a new one! 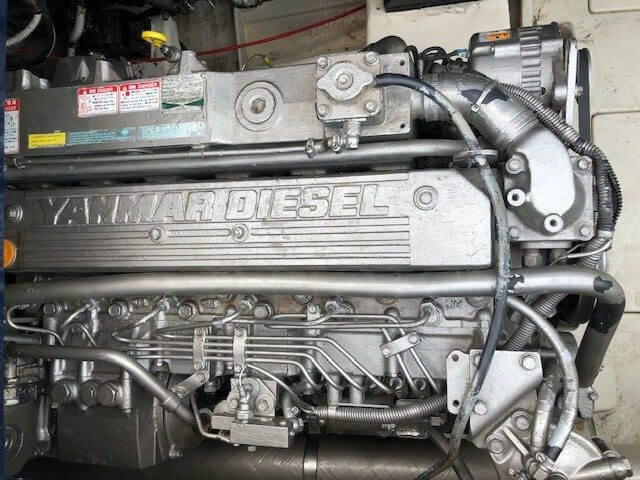 Engine: Twin Diesel Yanmar, 380 hp ea. 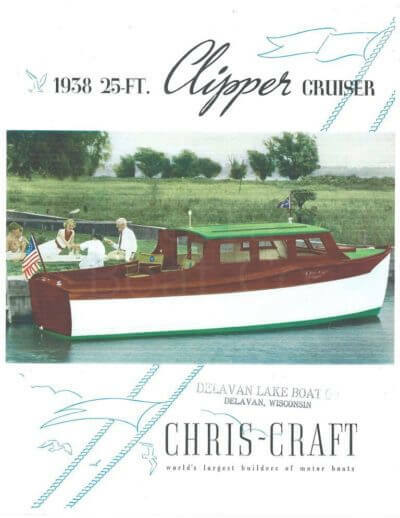 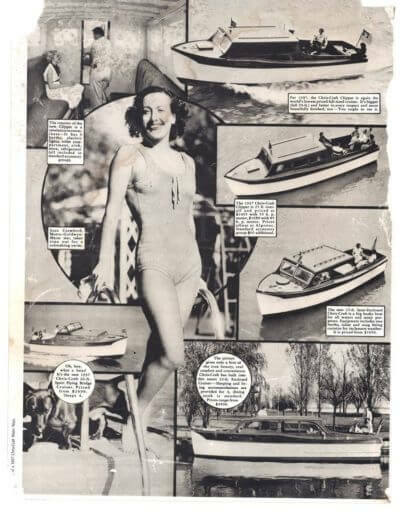 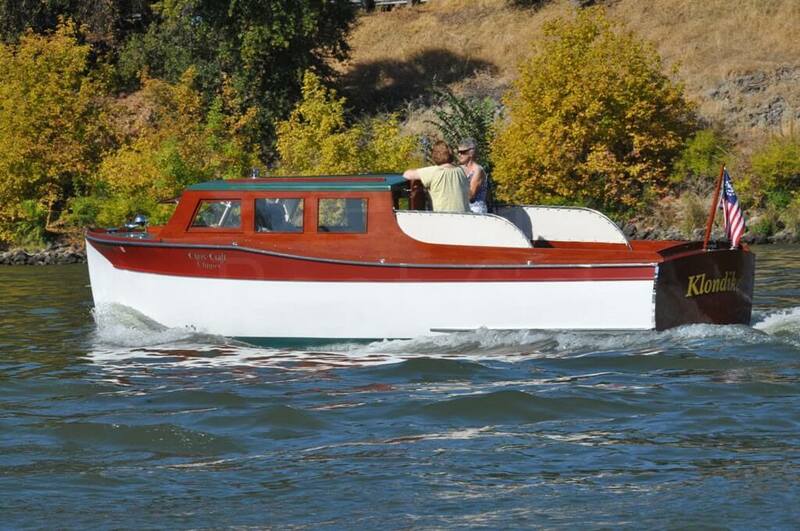 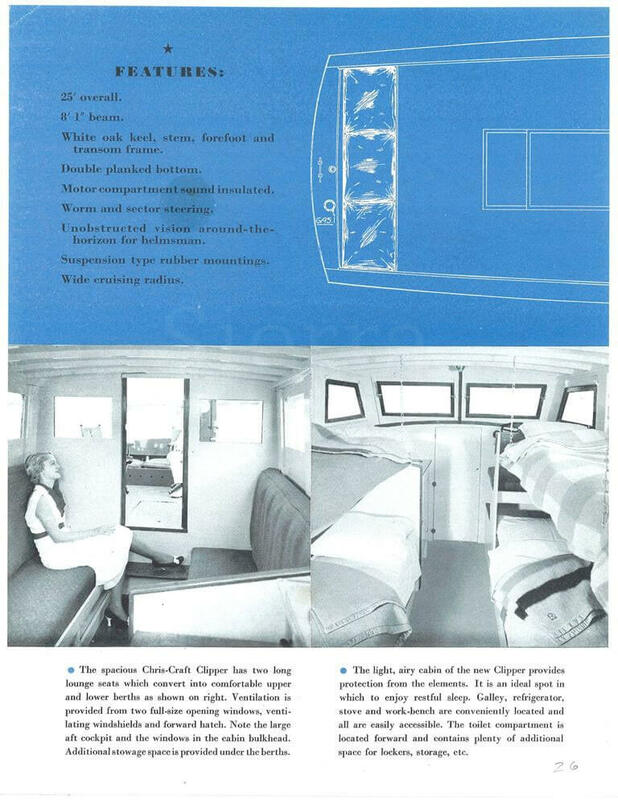 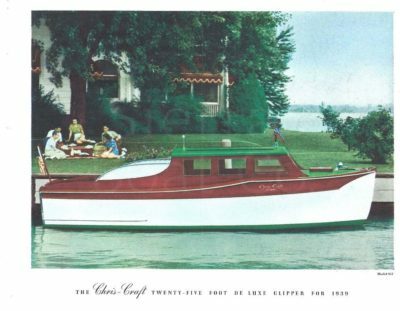 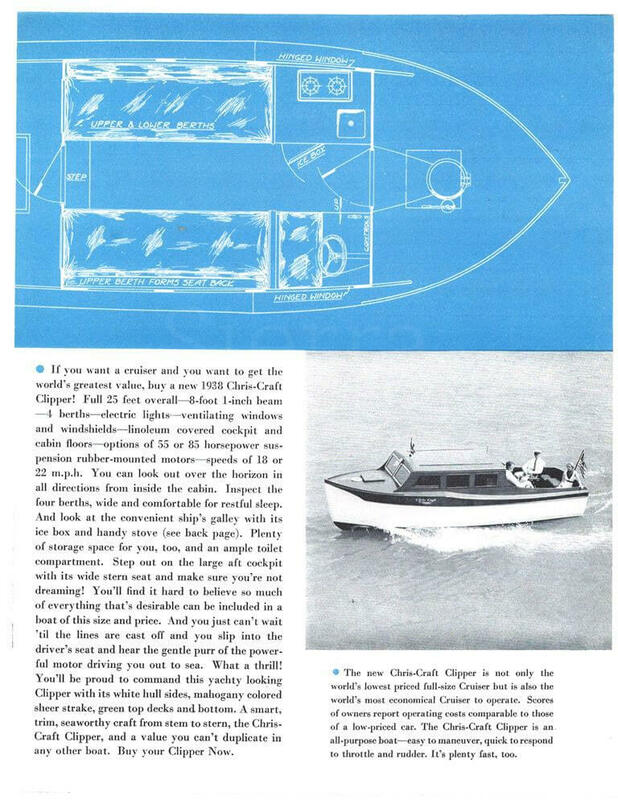 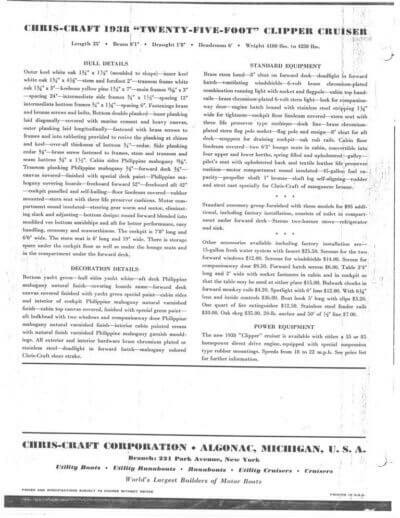 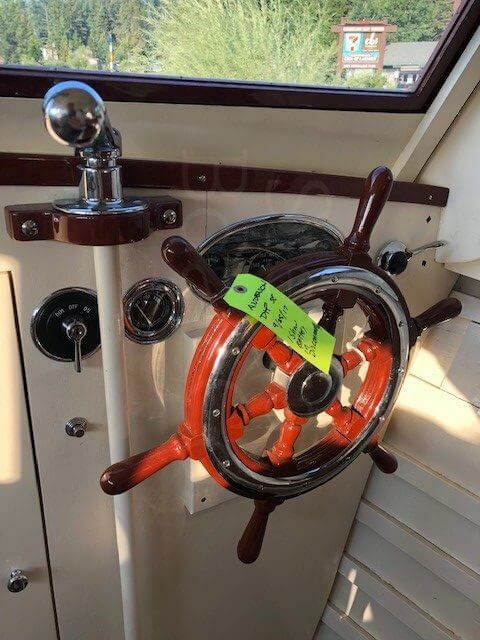 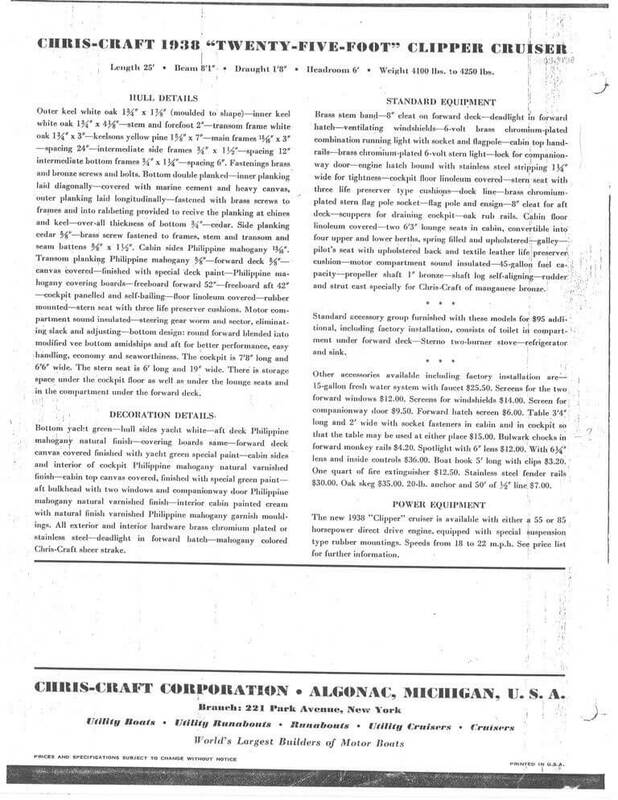 1938 Chris Craft 25ft Clipper Cruiser. 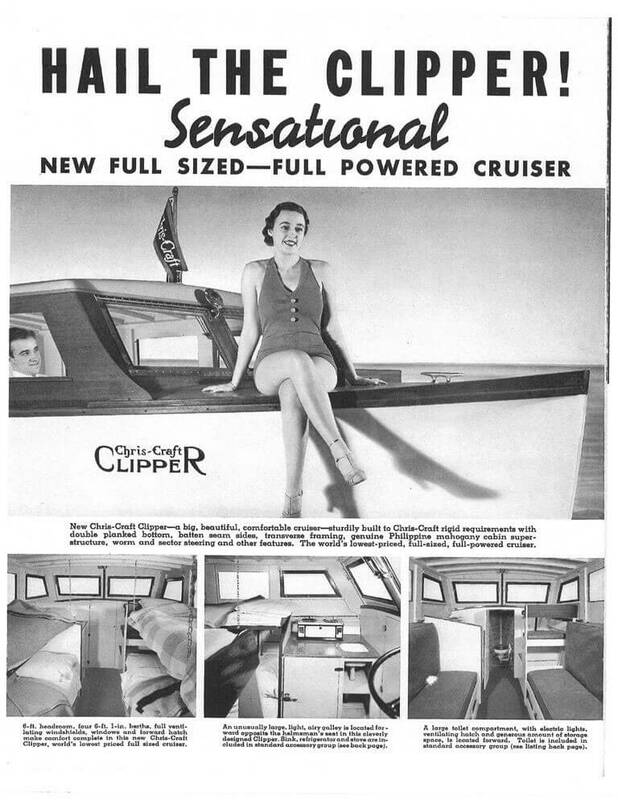 Klondike is a prime example of Chris Craft’s twenty-five-foot Clipper Cruiser. 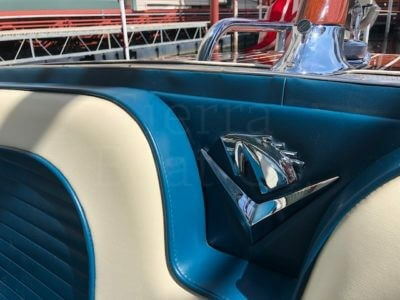 They were built from 1937 to 1939 with 353 examples produced. Of over 300 examples built, the owner knows of only 2-3 others and none in original condition. This boat been fully restored to “as-delivered” condition, the result of extensive research and aided by vintage photos and documents obtained through the Mariners Museum. 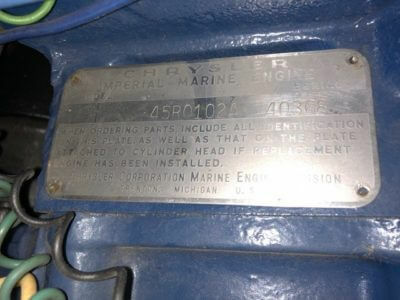 The boat received an extensive restoration in 2009-10, which included a full west system bottom and hull. 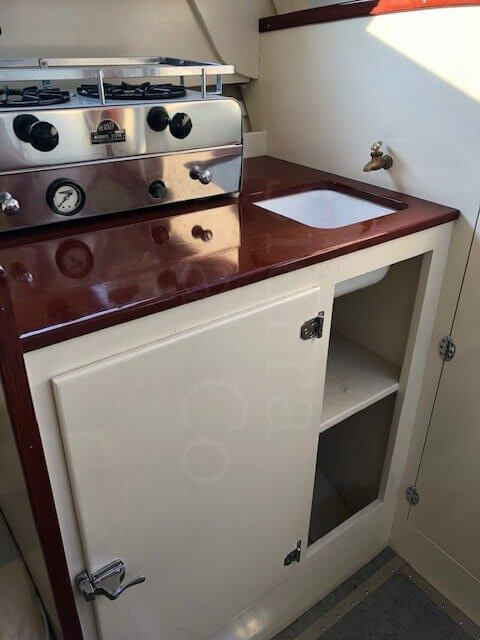 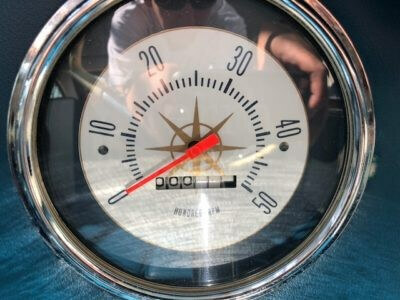 Although it is done to vintage standards, it is a very usable weekend cruiser with sleeping for four, alcohol stove, sink, 15 gal water tank, ice box and porta-potty. It comes on a galvanized Pacific tandem trailer. 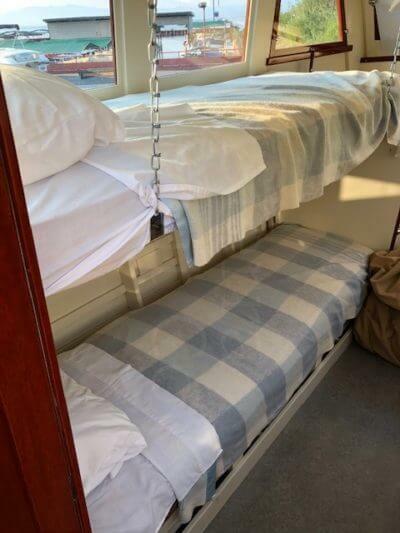 It also includes a full two-piece canvas cover with tie downs for trailering, period style blankets and director’s chairs. 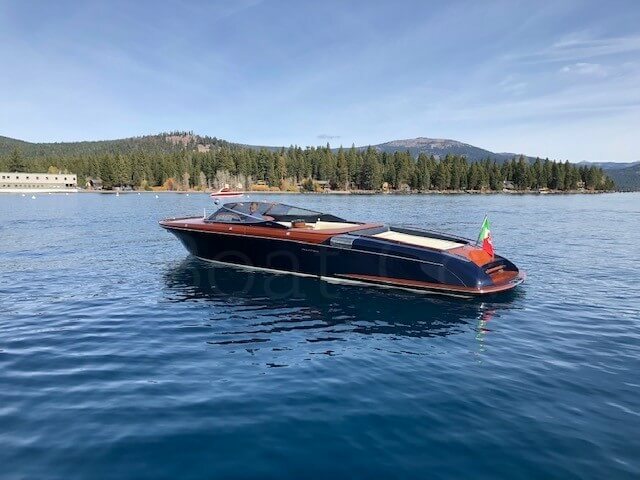 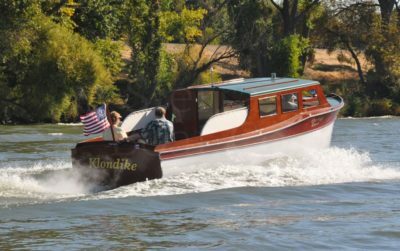 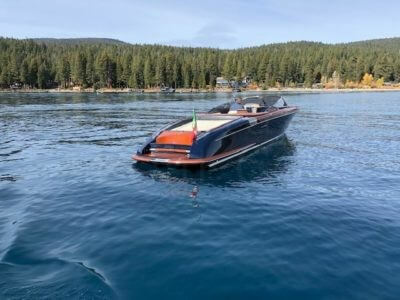 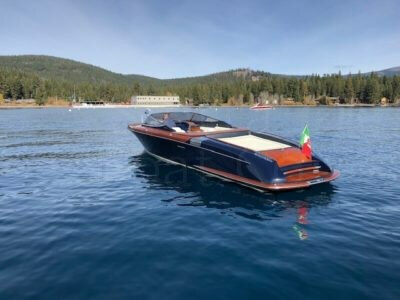 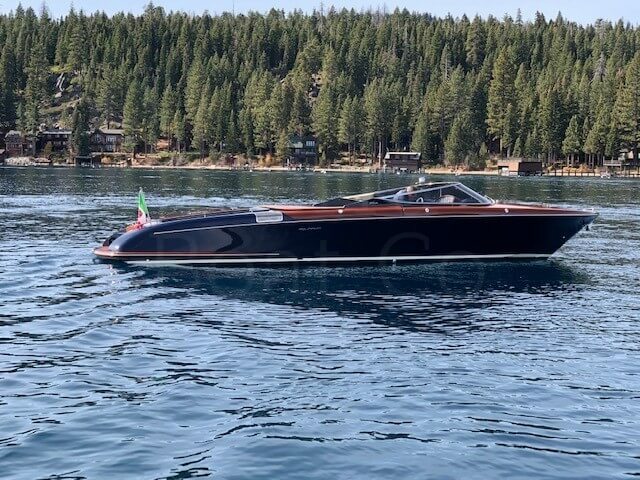 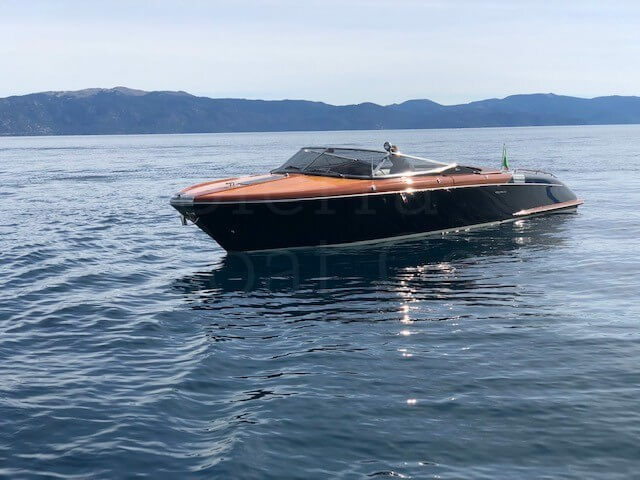 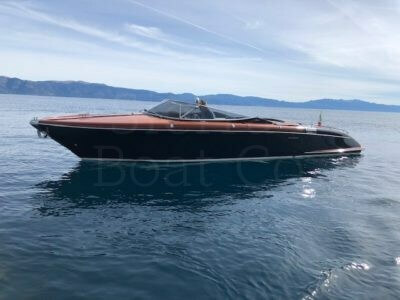 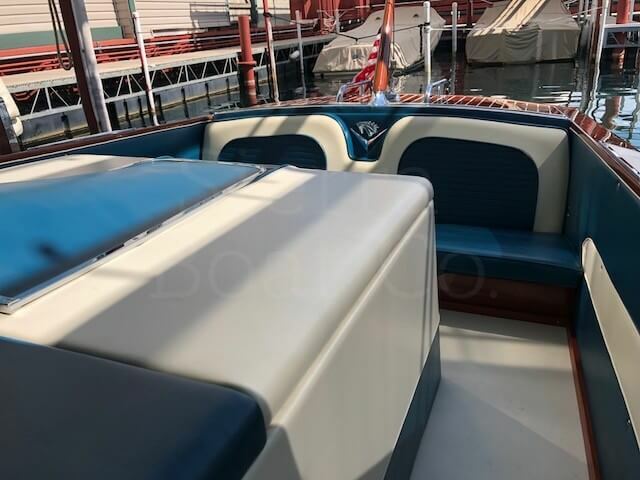 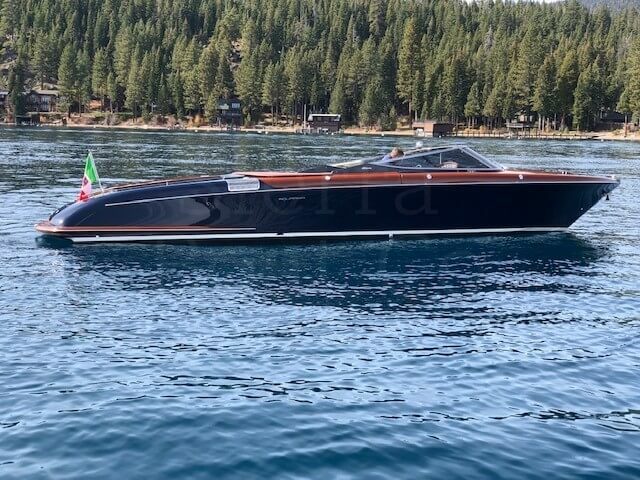 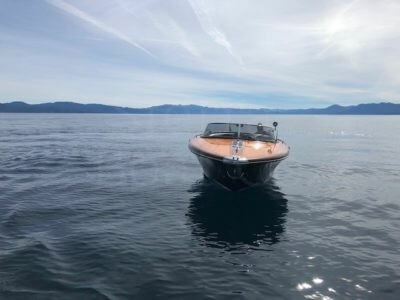 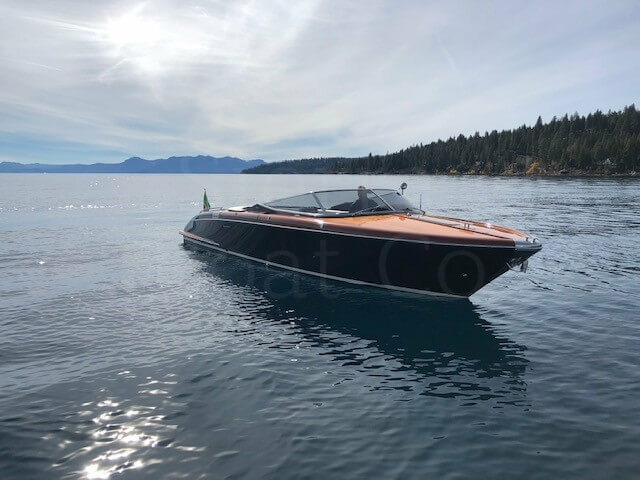 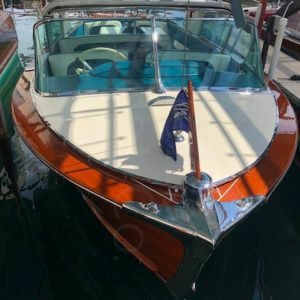 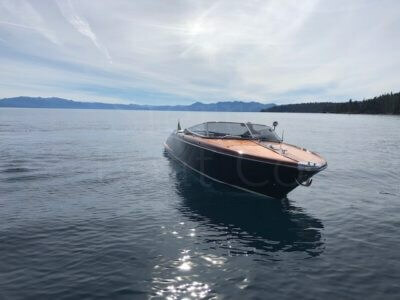 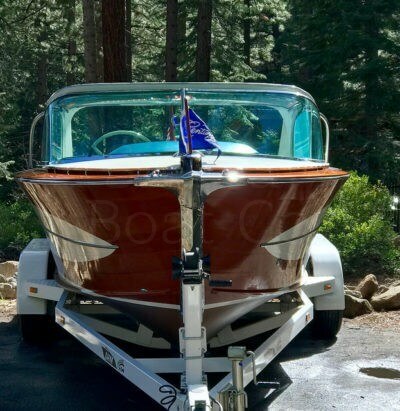 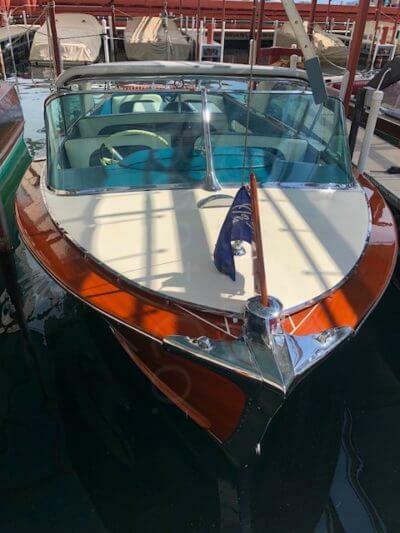 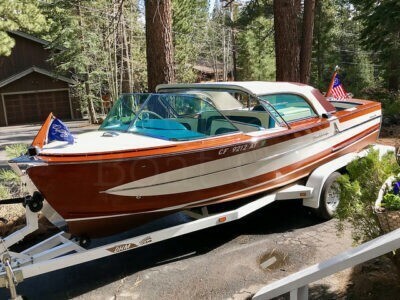 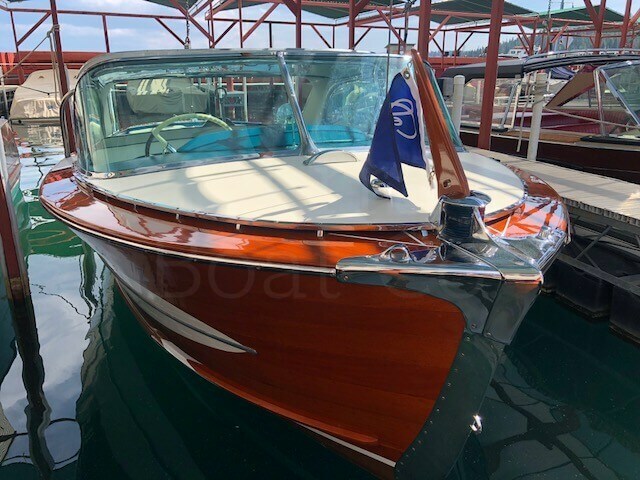 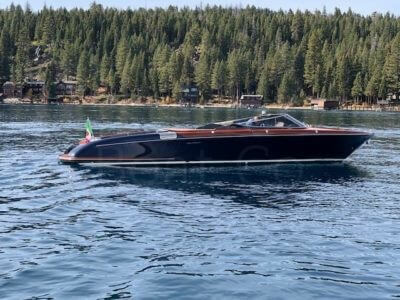 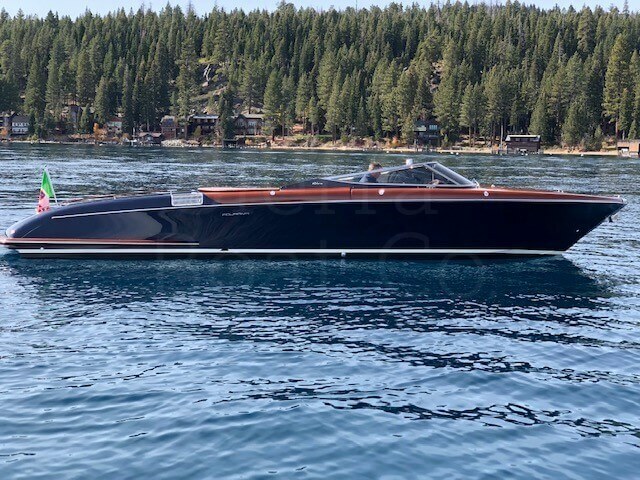 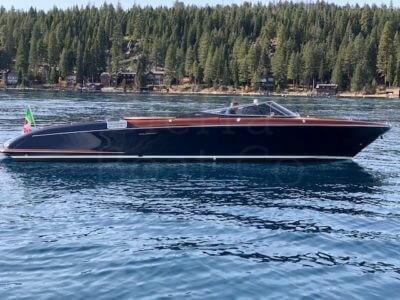 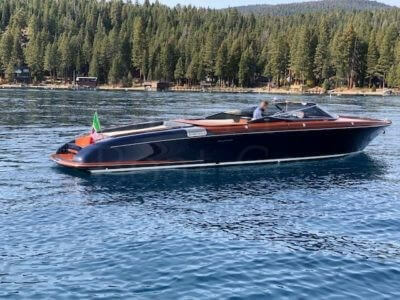 Klondike is probably one of the most awarded boats around having garnered 10 top awards at Lake Tahoe and various ACBS international shows around the country. 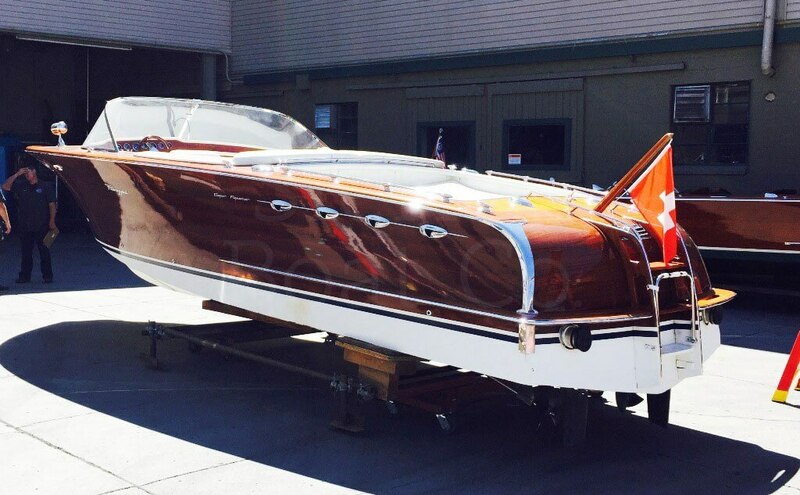 It was the best of show restored at the 2015 ACBS International Show at Gull Lake MN. 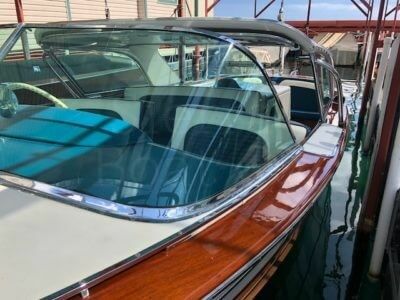 The cost to restore this boat far exceeds the asking price of $59,500. 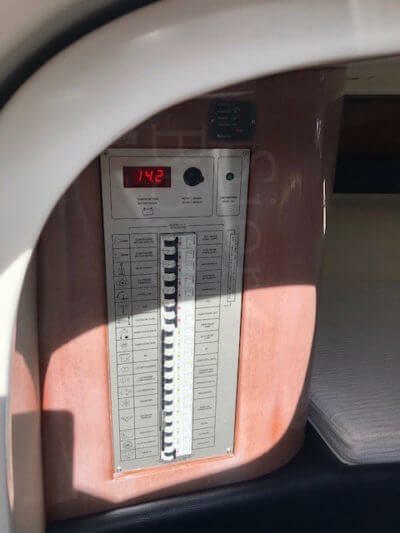 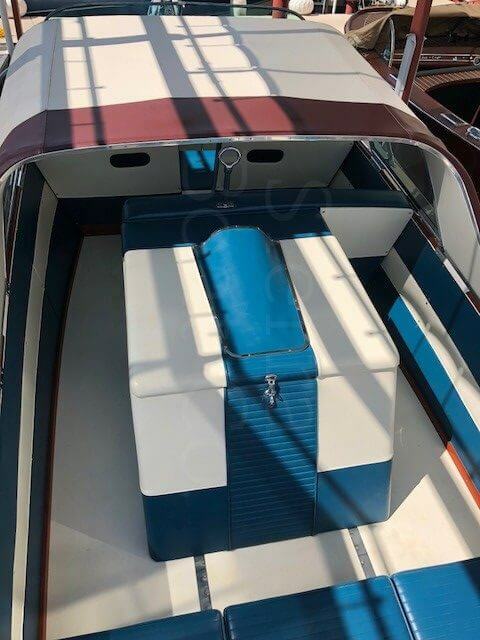 This is a 1975 Pedrazzini 28ft Super Aquamar made in Switzerland. 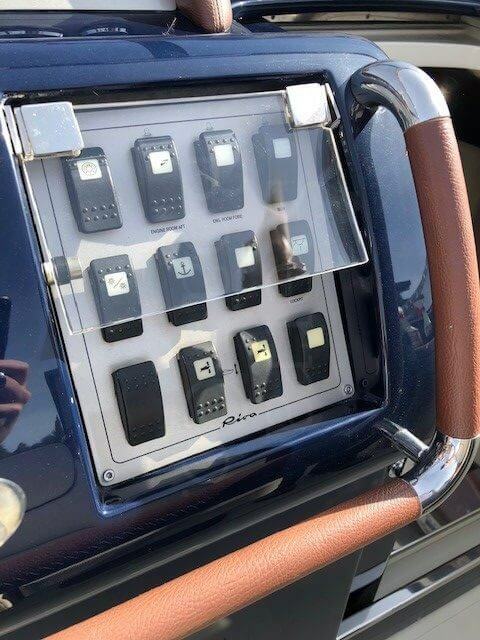 While Riva may be the Mercedes Benz of classic boats, Pedrazzini is the exclusive Bentley/Rolls Royce of the class. 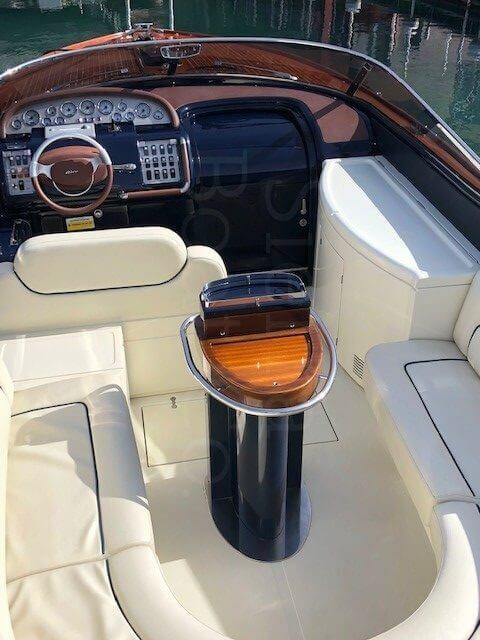 In fact, the Chairmen of Porsche/Audi/Bentley captains a Pedrazzini Special identical to this one that is available. 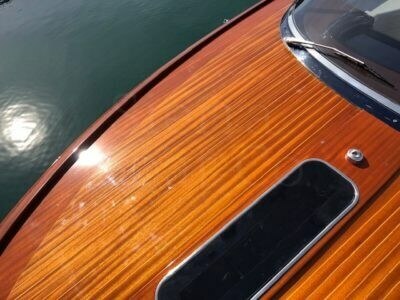 Here is some information from Pedrazzini’s website. Pedrazzini runabouts: crafted from the most exquisite materials with great skill and extreme patience. 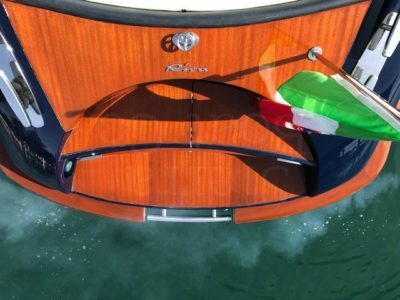 Pedrazzini has been committed to the art of boat building for over 100 years. As in the good old days, the company’s mahogany runabouts are crafted by hand. 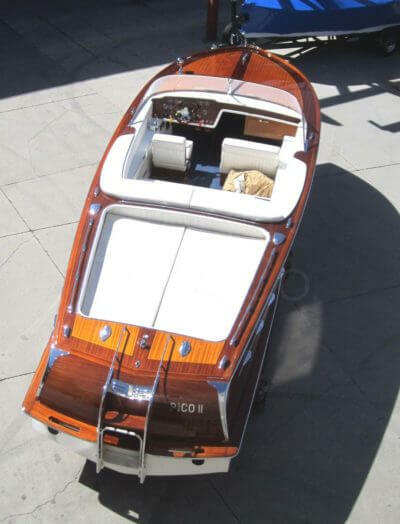 Step by step, the individual elements are meticulously finished and assembled. 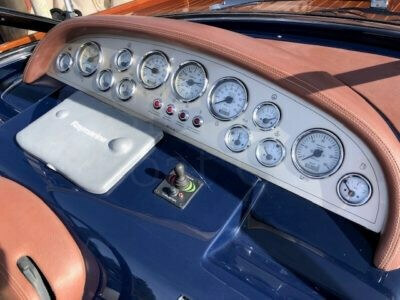 It can take up to nine months to complete a single runabout. Each boat that leaves the yard reflects Pedrazzini’s dedication to quality, attention to detail, and flair for timelessly elegant styling. The Super Aquamar is similar to the more famous Riva Aquarama. 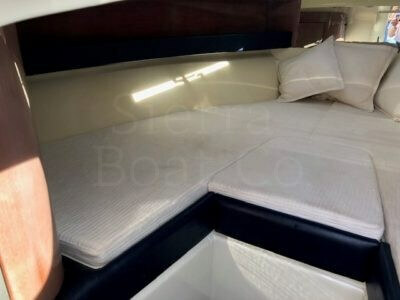 Sierra Boat has done significant refurbishing on this boat. 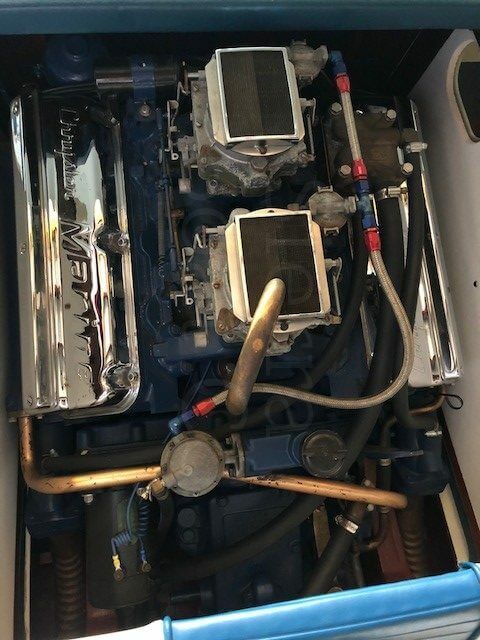 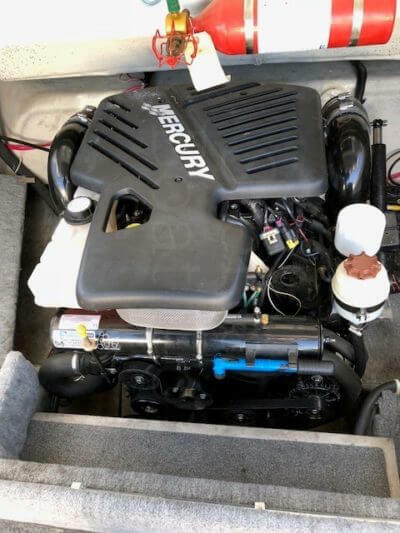 We recently re-powered the boat with fuel injected 5.7 L Mercruiser engines. 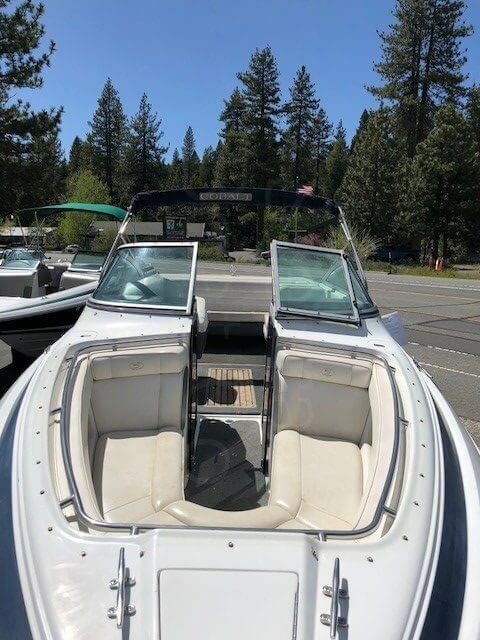 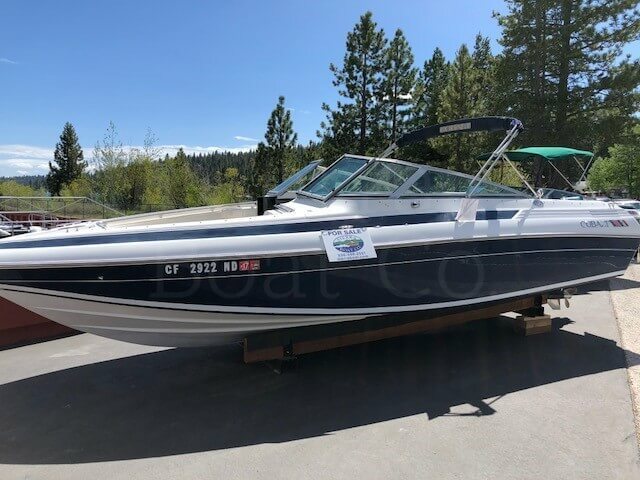 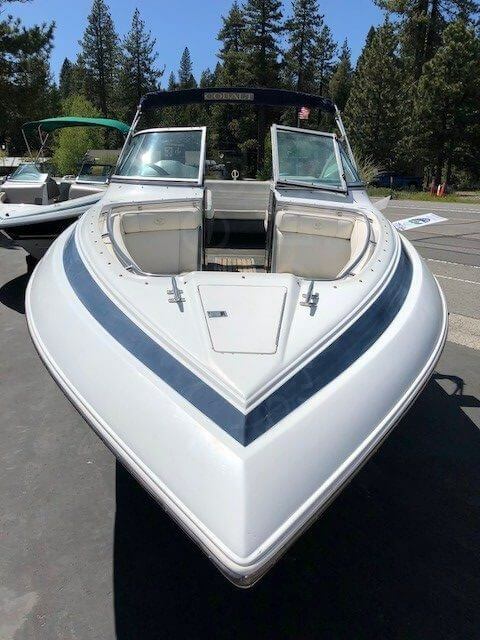 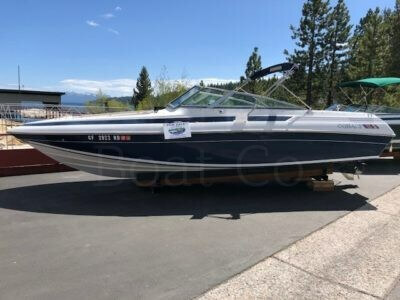 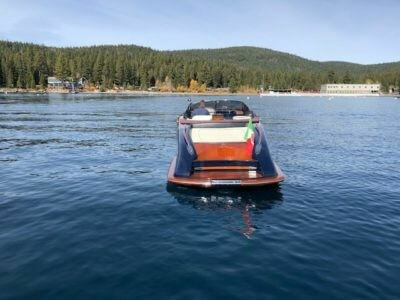 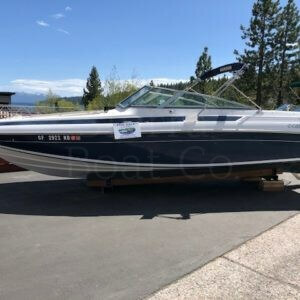 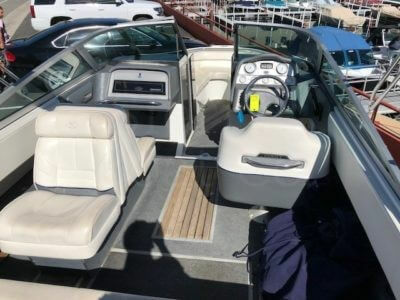 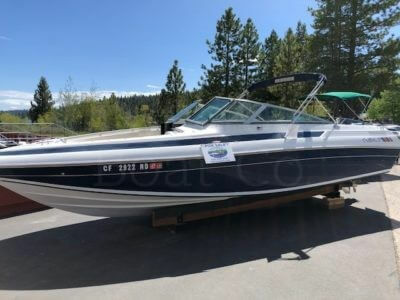 This is a great boat for Lake Tahoe and easily handles Tahoe’s rough water. This Cobalt is powered by a Mercruiser 496 Mag HO with 425 hp. 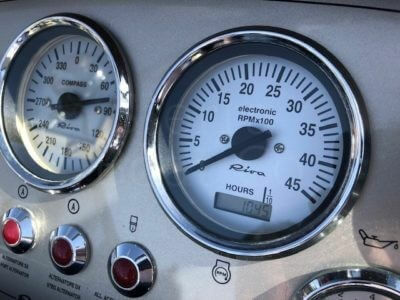 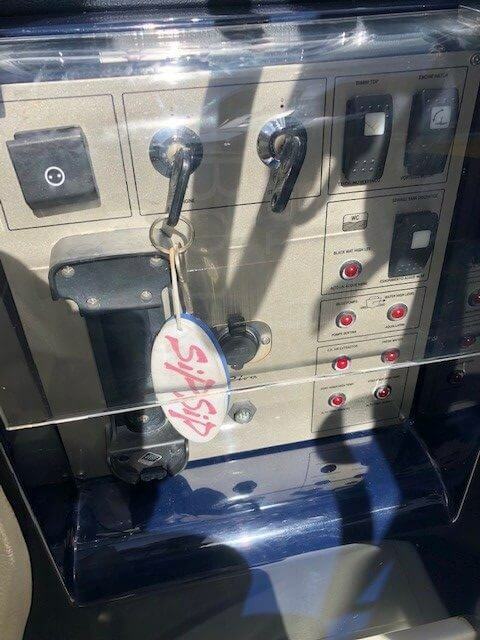 The engine has 666 hours on it so 24 hours per year which is minimal annual use. 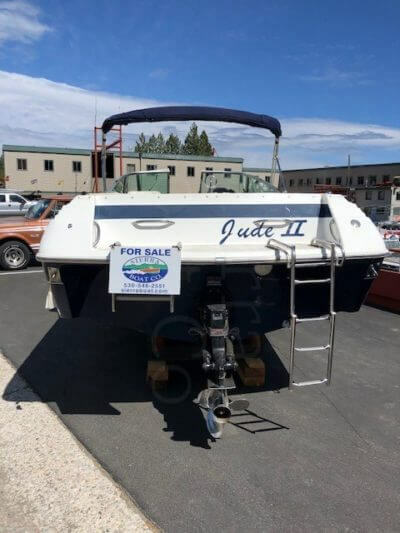 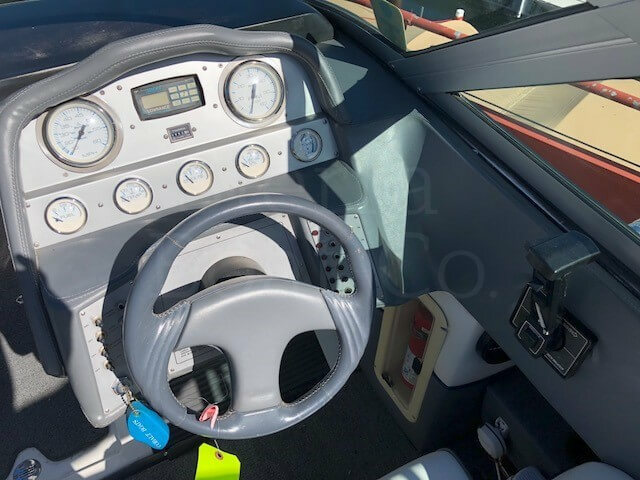 It is equipped with AM/FM CD player, depth finder, dual batteries with switch, trim indicator, ski locker, and swim step with ladders. 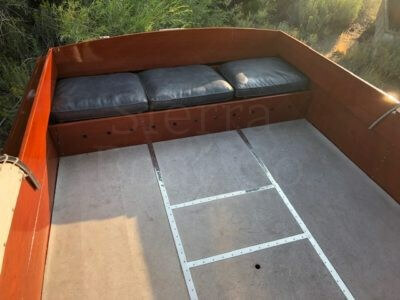 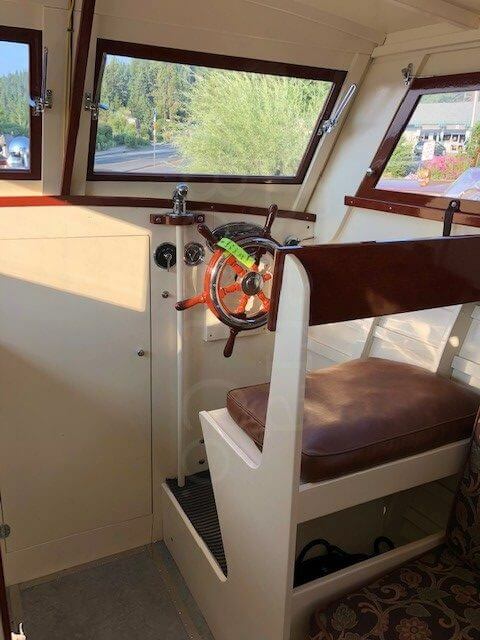 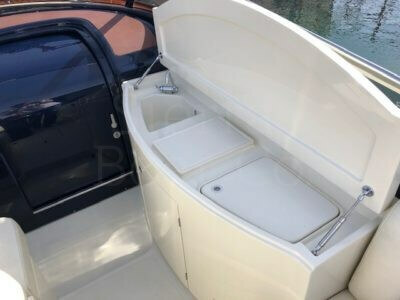 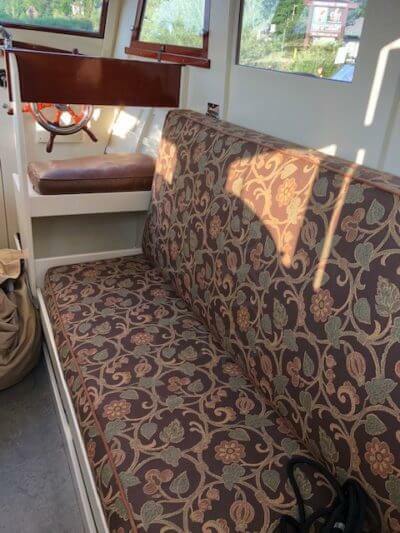 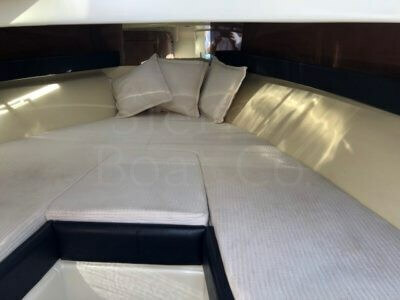 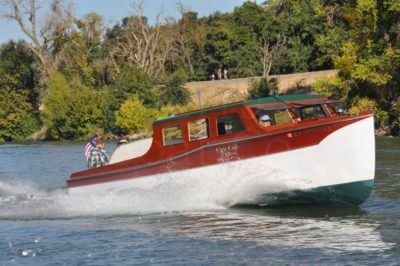 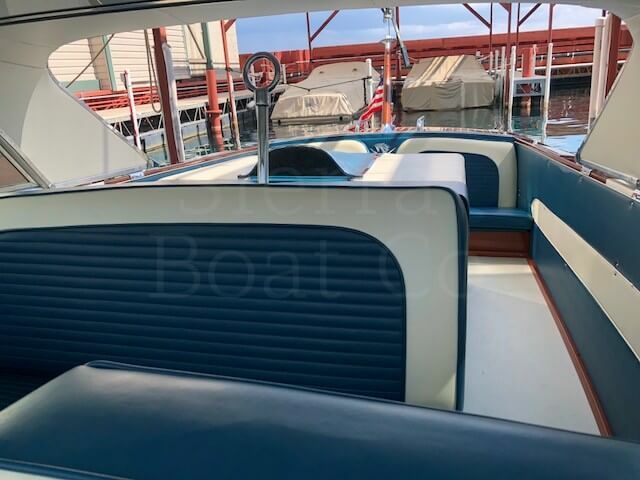 This boat has an open bow and seats up to 10 people and has a sun pad on the engine hatch. The boat has been in fresh water only and has been serviced by Sierra Boat.